Headphones suddenly became popular in 2012. The New Yorker pointed out in a 2016 piece which examined the industry, there was a 32% surge in revenues for headphones that occurred. 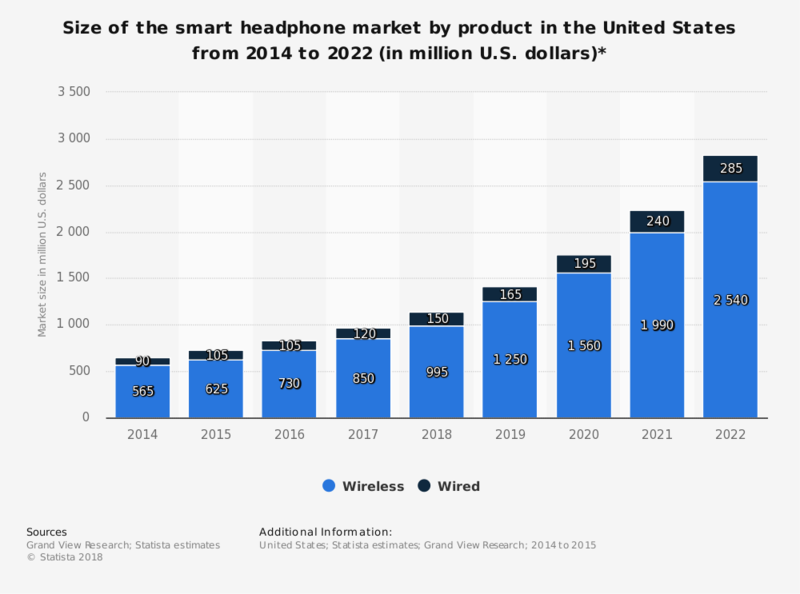 Much of that demand came about because of an increase in the number of smartphones and similar devices that could play audio through wired or Bluetooth connections. Headphones are something that is owned in multiples as well. In 2014, Sol Republic conducted a survey about the product and discovered that 53% of Millennials (34 years of age or younger at the time of the survey) owned at least 3 pairs of headphones. These headphones are worn for at least 4 hours per day, with 73% of users admitting that they put them on to avoid needing to interact with others. When considering headphone use, music is still the top priority. 87% of people say that they use headphones for listening to music. 49% say that they use headphones to watch a TV show or movie, while 36% say that headphones can be used to listen to the radio. Interestingly enough, only 9% of people say that they use headphones to either work with sound or create music. Portable music is approaching 50 years of being a thriving industry. We have evolved from the Walkman and its small, foam headphones to numerous designs that make a fashion statement for people just as they offer them a chance to listen to music. Early critics of headphone technologies said that wearing them made people seem almost “Orwellian.” Although many people do use headphones as a way to tune other people out, this technology gives us an opportunity to make new friends too. It can be just as fun to listen to what others have on their headphones or earbuds as it is to listen to your personal music. 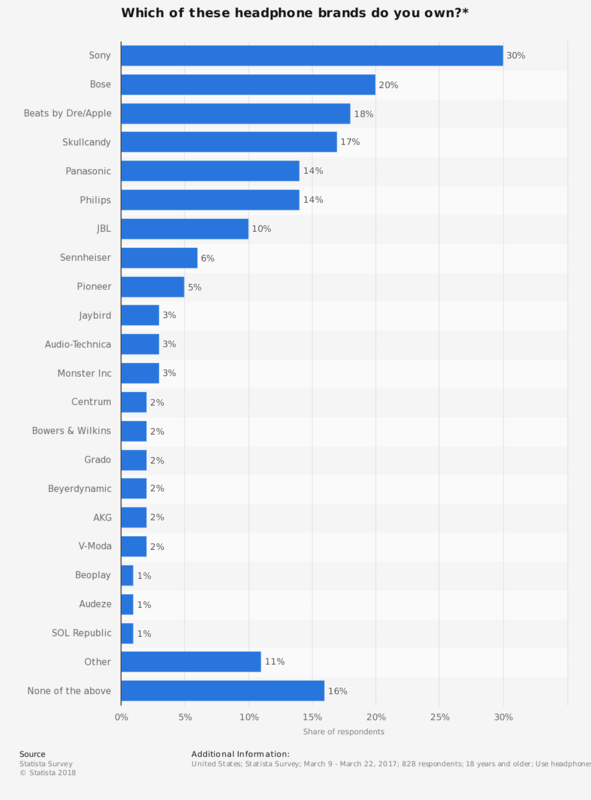 As more devices make it possible to listen to music or sounds, take phone calls, and even connect to gaming systems, the headphone industry stands poised to continue pushing revenues higher. Headphones are also becoming more expensive because people want sophisticated features with them.